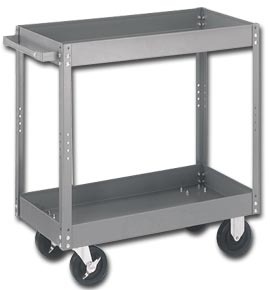 As you browse our catalog, most of the prices for all new heavy duty casters, stainless steel casters, and replacement casters are based upon wholesale in 4-16 pieces at a time. If you need batches of more than 16 at a time, please contact us to receive special pricing. In addition, some items have minimum order amounts may incur additional fees by the factory. We present all information to you prior to ordering. You will know the exact details of your order, including all items and pricing. There will be no surprises prior to ordering. We offer Fast Shipping--same-day on 50,000 items in stock--and most caster order get Free Shipping! If for some reason you are unable to find the casters or wheels you are looking for, we would thoroughly enjoy helping you find them, whether they are specialty or otherwise hard to find items. We have access to all caster manufactures, all caster brands, and all caster styles. In the event of not being able to find the caster you need, we can design a caster for your application. Above all, we offer top-notch customer service. We will make every effort to get you exactly what you need.